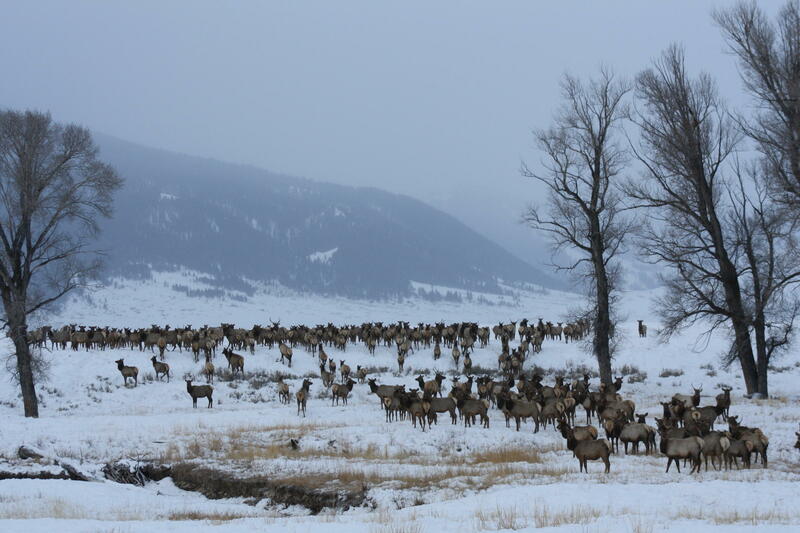 Earlier this week, a conservation coalition filed a lawsuit against the National Elk Refuge in Jackson for continuing to provide supplemental feed to elk in the winter, especially since Chronic Wasting Disease has been detected in Teton County. Chronic Wasting Disease (CWD) is a contagious brain disease affecting deer, elk and moose that usually leads to death. Last November, CWD was detected in a mule deer in Teton County for the first time. Environmental groups are worried that the presence of elk feed grounds, which creates a high concentration of elk, will help the disease spread quickly. Lloyd Dorsey, the conservation program manager for Wyoming's Sierra Club chapter, said this makes it vital that the National Elk Refuge start a phase-out a plan that was created in 2008. 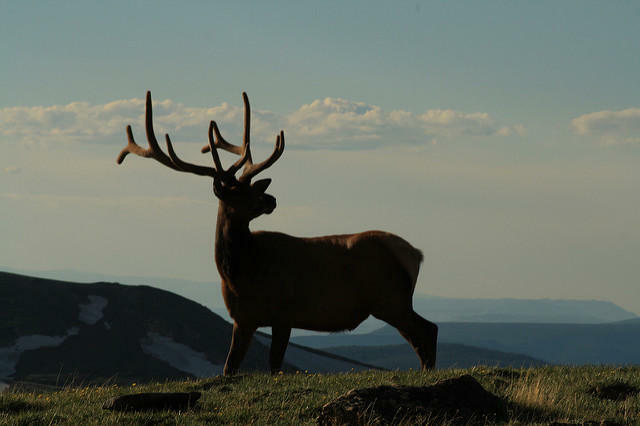 "It's been over a decade since the refuge committed to phase-out the winter feeding of elk. The ecosystem is out of balance," said Dorsey. But Brad Hovinga, the Jackson regional wildlife supervisor at Wyoming Game and Fish Department, which manages elk feed grounds, said CWD spreads differently in elk and deer. "CWD hasn't expanded or gotten close to western Wyoming in elk, and elk tend to have a lower and maintain lower prevalence of CWD," said Hovinga. But Dorsey says CWD does spread quickly in elk and feed grounds are not natural. Hovinga said the department is concerned about CWD in elk and is starting a statewide CWD working group to help guide decisions in the future.